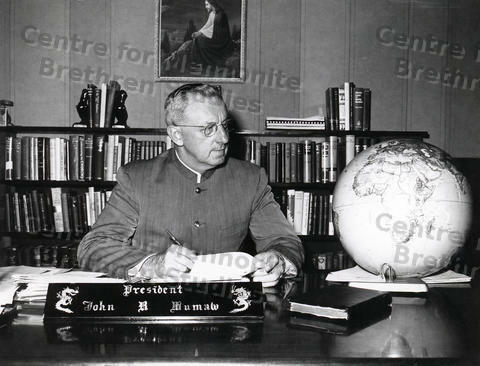 This photo is of President John R. Mumaw sitting behind his desk in his office at Eastern Mennonite University, Harrisonburg, Virginia. He was president from 1948 to 1965. Books are in the background and a photo of Jesus is on the wall. A world globe is on the desk.